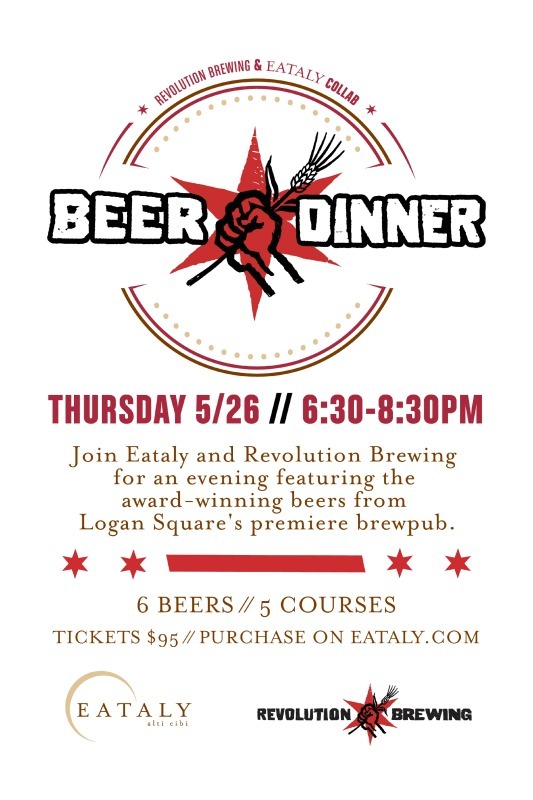 In celebration of Chicago Craft Beer Week, there will be a 5-course Rev beer dinner at Eataly on May 26. Dinner begins at 6:30pm. Ticket information here.